SELECTING replacement heifers is a role that I’ve been involved in for many years. Choosing which females to use within a herd as replacement breeders, or for herd expansion is a significant event in any breeding program. Over my career firstly with NSW DPI and more recently as a consultant, I’ve seen many different approaches to selection. Most selection processes across southern Australia consist of a draft on weight, structure and temperament. There are a few other selection decisions made, that I’ve been involved with that include selection for increased muscling, and in a specific case pelvic size and live-weight as a combined measurement. These heifers are often then joined and a second draft occurs following pregnancy testing with non pregnant females sold, along with the lighter end of the draft. In these cases the selection is based almost entirely on the phenotype of the animals in the drafting yard. It’s often difficult, if not impossible to know the underlying cause of the range in weights, size or other factors as you work through the yard. Lower than average weight females could be a result of being born later in the calving period, the daughter of a heifer or a female that was born to a dam that has lower milk production. Given the complexity of relationships between traits and the environment and animal was born into, the practical outcome of heifer selection is there will be some heifers that have tremendous genetic potential for a herd, but will be drafted off because the environment they experienced restricted their potential when compared their peers. Genomic technologies offer an opportunity to increase the level of objectivity into the process of heifer selection. 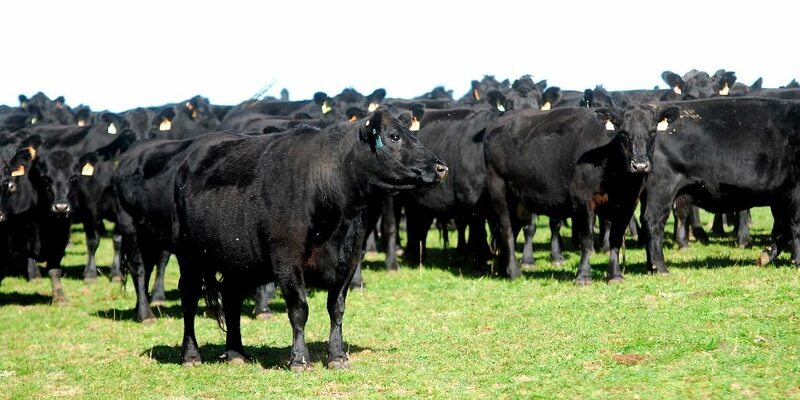 Within the Australian context, the Angus HeiferSelect program developed by Angus Australia and Zoetis has been the first to use genomics within a selection context for commercial females. As reported recently in Beef Central, more than 4000 commercial females have been tested since the product was released in 2017. The HeiferSelect program is offered to commercial members of the Angus Society to use as part of their selection process. It isn’t designed to replace other selection processes, but to increase the information available for producers looking to make more objective decisions on the suitability of replacement females to meet a herds breeding objectives. In addition to the individual traits, each heifer is also fully verified to their sire and provided with a selection index value. Mr Byrne described the opportunity these profiles offered to producers as a powerful method to make decisions that are based on the alignment of replacements genetics to a herd’s overall breeding objectives. In practical terms heifers can now be compared to the overall herd and evaluated for their genetic merit regardless of age. For producers who have used the product since 2017, there are now three years of genetic profiles demonstrating the progress of the herd towards actual production and breeding objectives. This has offered some interesting insights for several herds. For herds that have traditionally purchased and used high-performing sires, the improvement in genetic progress has been evident in the profiles that have been provided. This effectively means an evaluation of the effectiveness in investment in sires and in some cases increased selection pressure on the mature cow herd in order to bring more higher performing females into the breeding herd. While there are many opportunities for this product, there are also limitations for producers to consider. At present HeiferSelect is available only for commercial members of Angus Australia. The tests can only be undertaken for straightbred, commercial Angus females (greater than or equal to 87.5pc Angus content) which have been sired by a registered Angus bull. The tests take around two months between collection and provision of the profile on the tested animals. From a practical approach, producers who are able to use this product need to consider the time to receive results and how this will fit with their normal selection process. It may be that DNA samples should be taken as early as possible, possibly at marking or weaning. This at least provides the chance to receive the results and consider the profile across the replacements before physically drafting them on their temperament, structure, weight and muscle. I find those producers who have used the program so far see the profiles as an initial drafting list. As long as the top ranked heifers are acceptable for their structure, temperament the decision can be made in the yards on retention or not for muscle and weight. With a current cost of $48.50 (including GST) it may also mean that not all heifers in one drop will be tested. Several producers have told me they will test a select draft in order to get a feel for their herd and the heifers they are breeding. 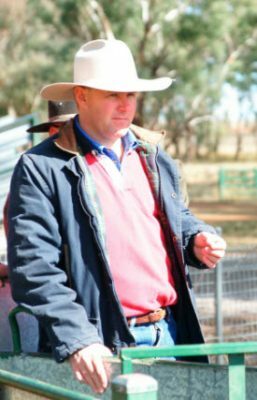 Although this program isn’t available to the broader Australian beef industry, there are still opportunities for producers to benefit from the information genomic evaluation offers. For many commercial producers, selection of sires that have full sire verification (Single Step Evaluation) there is an increase in the accuracy of that bulls EBVs. For the breeds that are using Single Step Evaluation (at this stage – Hereford, Angus, Brahman and Wagyu) this has seen significant improvements in accuracy and reliability of EBVs. In effect, producers can combine better sire selection on these EBVs with as much objectivity in the heifer selection process as possible. This will result in replacements that are more aligned with breeding objectives than heifers selected from low accuracy or non-recorded sires.